Color Club Nail Polish, Love 'Em & Leave 'Em, 1200, .50 fl. oz. 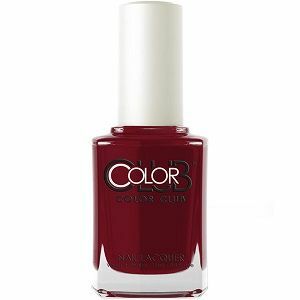 Warm, deep red creme nail color with subtle brown undertones. Color Club Love Me...Love Me Not Collection, Winter 2018.